Your welcoming hotel in the centre of Cala d'Or! The D’Or Hotel is a welcoming hotel in the centre of Cala d’Or. This charming hotel with a style from Ibiza has been designed with all type of commodities to guarantee a relaxing and beach holiday to all our clients. It is ideal for a trip with friends, a romantic trip as a couple or for a complete family holiday and it offers the best quality price ratio. Choose a hotel with pets admittance in Cala d’Or, swimming pool, English breakfast, wifi... Make a reservation with the maximum guaranties at the lowest price here, on the official website of the D’Or Hotel in Cala D’Or. The rooms of the d’Or Hotel are comfortable accommodations with natural light and beautiful views to the swimming pool, the garden and the stunning surroundings of our hotel in Cala d’Or. Book today your room with terrace in Cala D’Or here, on the official website of the D’Or Hotel. The superior rooms of the Hotel D'Or represent the most versatile rest alternative of our hotel in the center of Cala d'Or: bedroom with 2 beds, bathroom with shower and bathtub, air conditioning and heating, safe box ($), security lock with magnetic card, housekeeping, satellite TV, service alarm clock ... Always at the top floor and with a large balcony with views. Renovated in 2018 Your room with terrace in Cala d'Or. Superior dOr Hotel rooms are fully renovated and equipped with modern furniture and bathroom. The double rooms of the D’Or hotel are the most versatile option of our hotel in the centre of Cala d’Or: bedroom with 2 beds, bathroom with shower and bathtub, heating, safe deposit box ($), satellite TV, wake up call service, furnished terrace with views... Your room with terrace in Cala D’Or. If you are looking for intimacy and space, the double rooms for single use of the D’Or Hotel guarantee you a stay in Majorca full of commodities and independence. Enjoy a bedroom and a private bathroom, satellite TV, air conditioning, safe deposit box ($) and furnished terrace. Rooms in Cala D’Or to your liking. Learn more about this welcoming hotel in the centre of Cala d’Or. Visit the photo gallery of the D’Or Hotel and check out all the images of this beach hotel in Majorca. In this section you will find all the promotions and offers of the D’Or Hotel: book your hotel in the centre of Cala D’Or with exclusive discounts specially created for you. Exclusively for the clients of the official website of D’Or Hotel. Select your dates and book your hotel in Majorca at the best price online. 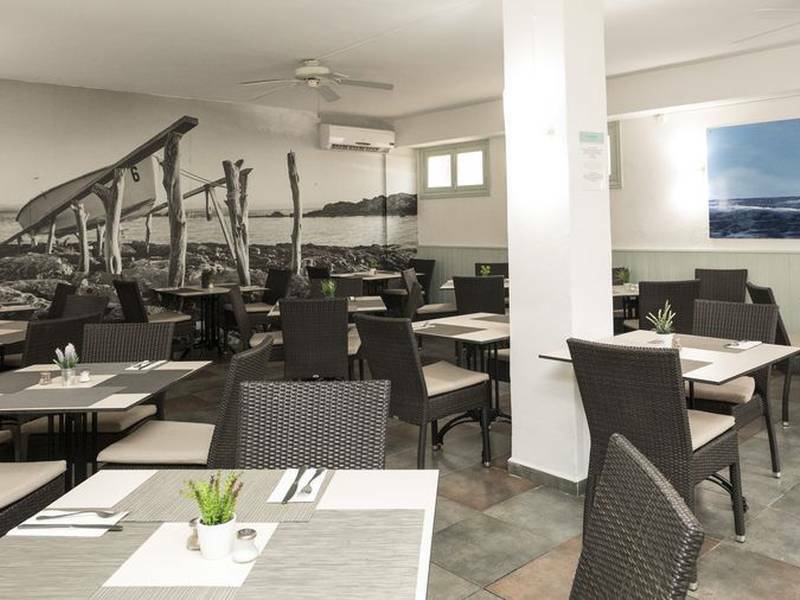 The D’Or Hotel, located on Calonge Avenue, has a perfect location in the centre of Cala D’or that will allow you to visit Cala Llonga, Calo de ses Dones and Cala Gran beaches, some of the most beautiful beaches on the eastern coast of Majorca. This hotel located close at hand from the Mondragó natural park is ideal for resting and enjoying nature. 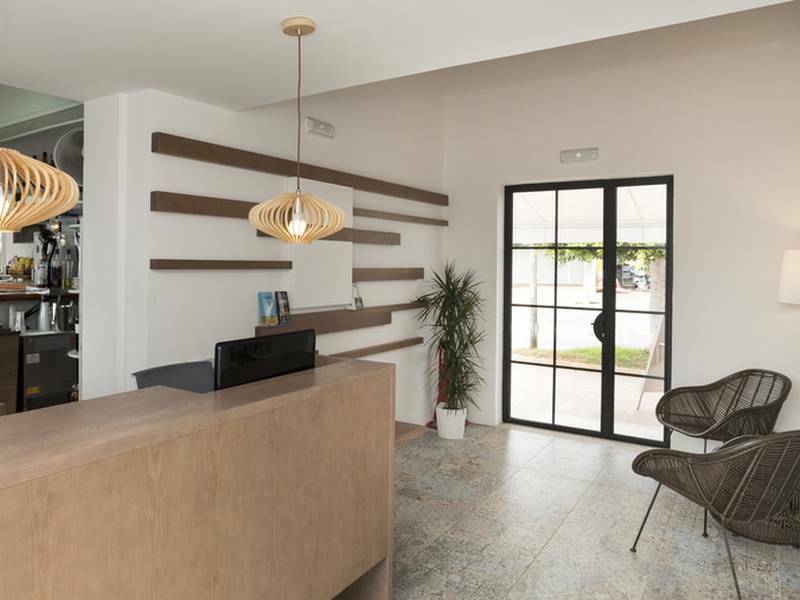 This hotel in the centre of Cala D’Or is located within a 10 minute drive to Porto Petro, within a 7 minute drive to Ferrera and within a 45 minute drive to Portocolom and Cala Marçal. Calonge Avenue s / n. 07660, Cala d'Or. Mallorca - Spain. We provide you the contact details of the D'Or Hotel so you can communicate with us through email, telephone or use the contact form available on this website and send us your doubts, comments and suggestions.